Have you ever gotten a call or email from someone claiming to be a friend or relative who needed money fast, but it turns out that it was all just a scam? You’re not alone. These “imposter scams” are on the rise, and according to a new report, they surpassed identity theft scams for the first time in 2016. Each year, the FTC releases a report in conjunction with state law enforcement agencies about the types and numbers of scams reported all around the country. The report only counts fraud and other types of shady business dealings that were reported by consumers, but still gives an interesting snapshot of what kinds of scams are happening all around the US. Of the over 3 million complaints filed in 2016 to the Consumer Sentinel Network (CSN), an online database for consumer complaints used by law enforcement agencies, 1.3 million were fraud related. Roughly 77 percent of people who reported scams said they were contacted by phone. Just 8 percent were contacted by email, and 3 percent were contacted by snail mail. The report also saw a steep increase in scams aimed at members of the military. Roughly $744 million in consumer fraud was reported in 2016, with $450 being paid by the average victim. The top state for fraud? 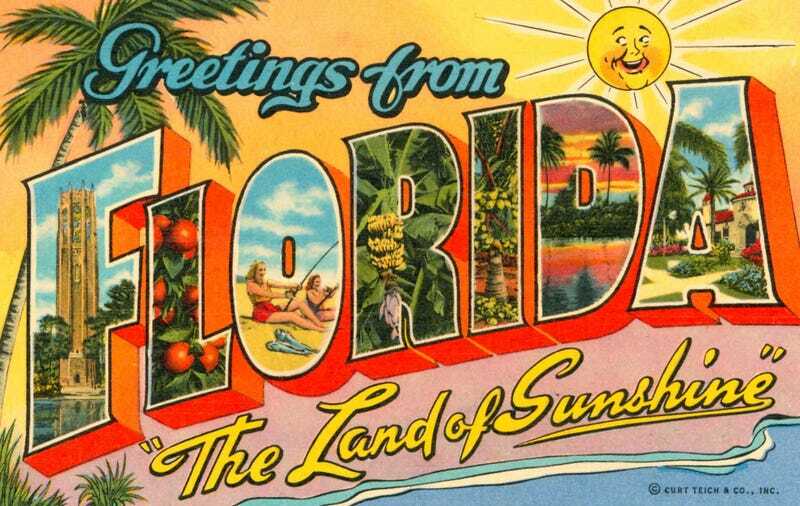 Florida, which had roughly 1,305 complaints per 100,000 people. Georgia and Michigan weren’t far behind, with 1,136 and 1,083 complaints per 100,000 respectively. The least amount of fraud reported was in North Dakota, with just 284 complaints per 100,000 people. South Dakota and Iowa were also near the bottom of the list, with 320 and 342 complaints per 100,000 each. As for the most popular types of scams of 2016, they included identity theft, scams involving prizes or sweepstakes, and auto-related complaints. You can find the whole list—and read the entire report—here, if you’re so inclined. And keep your head on a swivel, Floridians. It seems everybody’s out to get you.